If you really want to have a home that offers all the creature comforts possible, you need to have an amazing master bathroom. It may seem like the most uninteresting room in your home, but think about how much time you spend in there. There’s the morning shower, the evening clean up, the getting ready for a night out… A nice master bathroom can make doing all of these things a pleasure. Of course, you don’t just have to stop at nice. 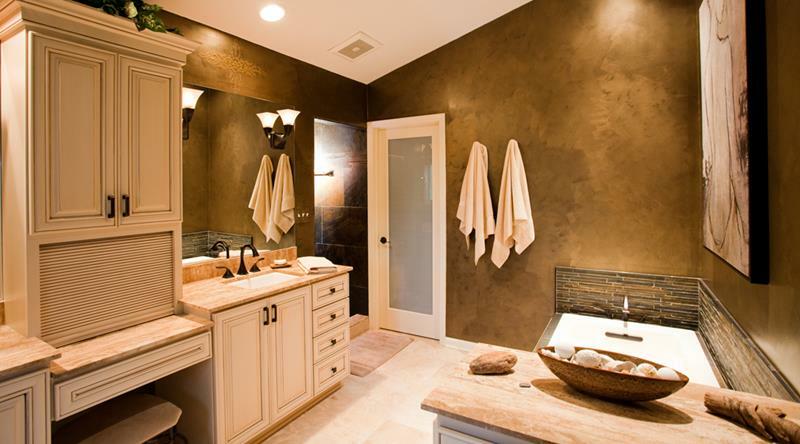 Instead, you can build a master bathroom that completely transforms the experience of being at home. We’re talking, of course, about building a master bathroom that offers spa-like amenities and that has a spa-like atmosphere. 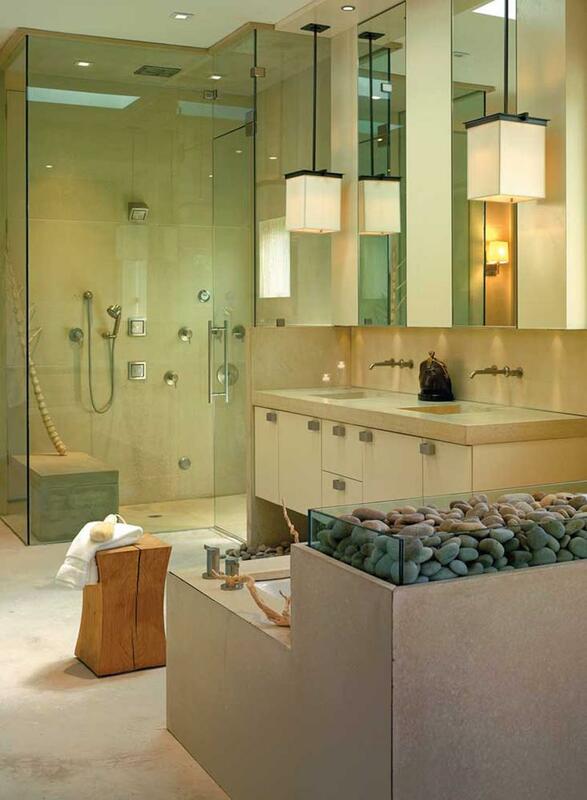 If you have a master bathroom like this, you’ll find that you’re more easily able to keep stress at bay. This in turn leads to a happier, healthier and more fulfilling life, which no one would ever argue against having. But, how do you build a spa-like master bathroom? What are the design elements that you’ll need to pay attention to? These and other things are what we’ll be exploring below. 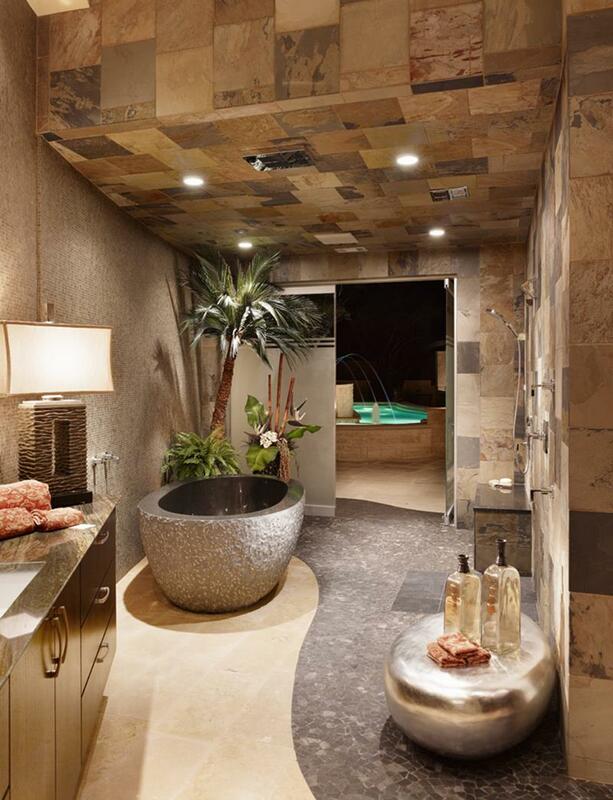 So, come take a look at these amazing 23 spa-like master bathrooms, and see what’s possible. We’re sure you’re going find inspiration in spades, and we hope you’ll be able to build a similar sanctuary for your home! The beautiful tile work on the walls and ceilings of this beautiful spa-style master bathroom complete the visual effect. The use a rocks encased in glass along with a green / beige color scheme creates a relaxing Zen-like spa vibe for this master bathroom. The huge marble fireplace at the center of this amazing spa-like master bathroom is the space’s crowning achievement.